I like to think of John as the Yin to my Yang. The Abbott to my Costello. What can I say? Valentines Day is tomorrow and we have that dorky kind of love. See, John and I balance each other out. I like cookies and cakes and he prefers pies and pastries. He dislikes creams and cheeses and, well, I love them. He enjoys all types of vegetables, I tolerate very few. See where I’m going with this? Every now and then I give in and make something special just for him. I don’t have to get my way all of the time… just most of the time. Sweet Potato Pie is something he loves more than video games (and he loves his video games.) With the big Feb. 14 tomorrow I figured baking him one of his favorite sweets would be a nice way to say “Thanks for putting up with me for the past 7 years.” I wish I had a witty story to go with this recipe but to be honest I can’t remember the first time I made it. 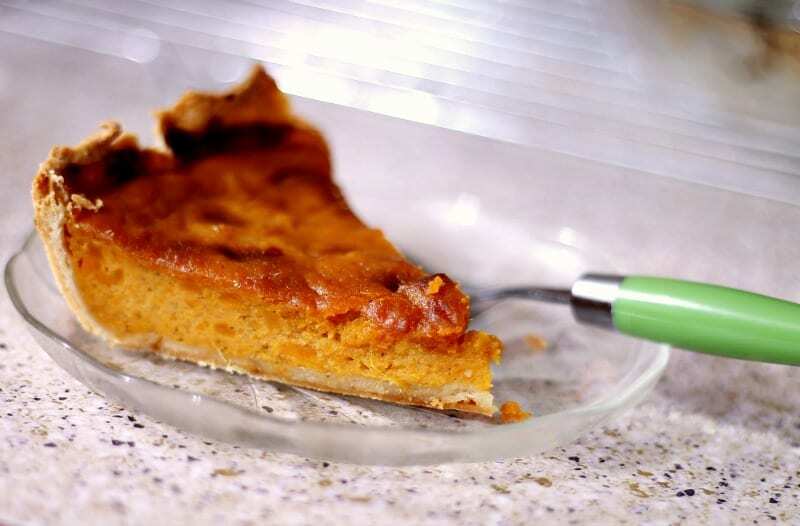 Sweet Potato Pie is one of those pies usually reserved for the holiday’s, namely Thanksgiving. Since that’s when sweet potatoes seem to be the most abundant. Luckily I found some in our grocery store recently, thank goodness for living in farm country! I did get a little lazy with the crust and went with a package pie crust mix from Betty Crocker – it didn’t come out too pretty either. Don’t worry – I’ll tell you how to make a pie crust later because I’m not loving this crust. This is more of an Old Fashioned Sweet Potato Pie. I didn’t use a food processor to puree the sweet potatoes, instead I boiled them then mashed them like in the olden days. Here’s the recipe – feel free to play around with the spices and sugar. Twist it up and make it yours and be sure to tell me any changes you make and how it comes out! 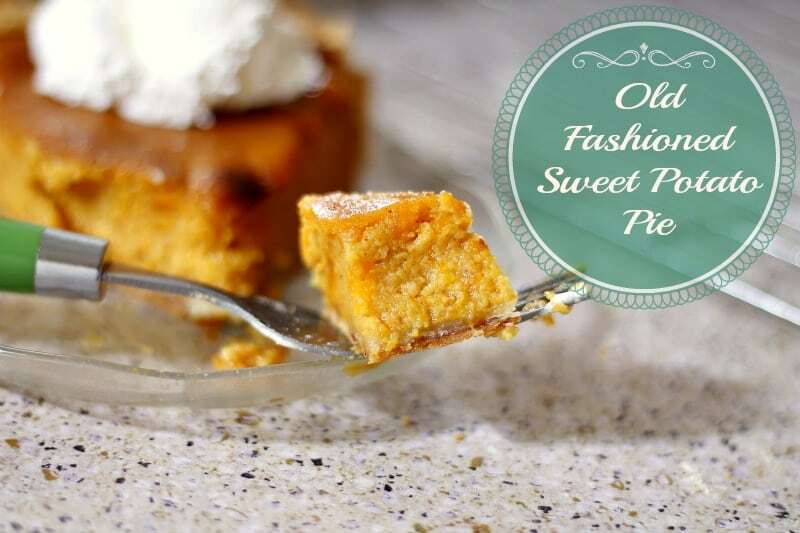 Have you ever made your own Sweet Potato Pie? Bring the sweet potatoes (still in their skin) to a boil in a covered pan with 2 – 4 cups of water. Cook until tender (when a knife inserts easily.) Set potatoes aside to cool. While the potatoes are cooling prepare your pie crust. Once the potatoes are cooled enough to handle peel them and dump them in a large bowl. Mash with a potato masher or something similar. Mix in both sugars, butter, eggs, vanilla and spices. Whisk together for 4 – 5 minutes until well blended. Mix in the milk and whisk for another minute or two until thoroughly blended. Pour the filling into the pie crust and bake for 1 hour. The pie is done when there is little to no [i]jiggle [/i]to the filling. That looks yummmy. 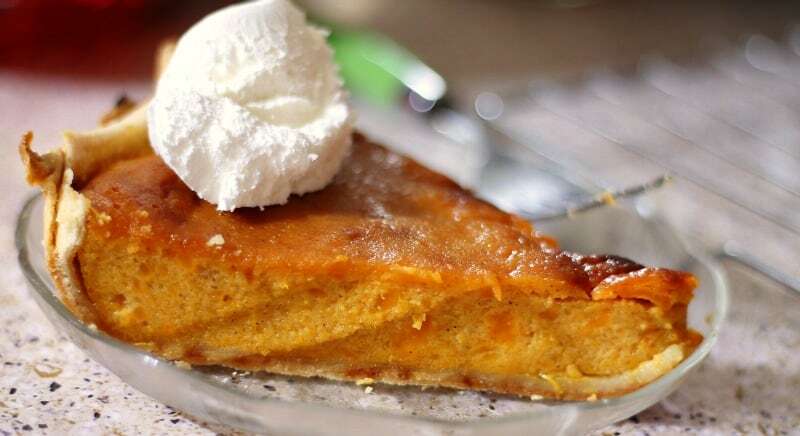 I have never had sweet potato pie before and wouldn’t mind trying it as it looks good. Love your write up – I can totally relate to you and your husband. Love sweet potato pie, I never make it, but I love it. I would add some salted carmel drizzle to it too! Never had sweet potato pie before, sounds good though! Oh my goodness this looks fabulous! I love sweet potato pie but we usually only have it at Thanksgiving. I think I’m going to have to break that tradition and try out your recipe today! Oh my, that’s looks yummy!! A must try! Your pictures are awesome. I could almost smell the yumminess of this pie. Yum – that looks delicious! I’ve never had sweet potato pie before! While I make candied yams, I haven’t had this in a very many years. I should make this. I’ve never eaten or made sweet potato pie which seems ridiculous since I love baked sweet potatoes. I’m keeping this one..looks like a fun one to try! I love sweet potato pie. I just pinned. We just love Sweet Potatoes and we will just love this pie. Thank you so much for sharing this special recipe with Full Plate Thursday and enjoy your weekend. Thanks for the recipe. 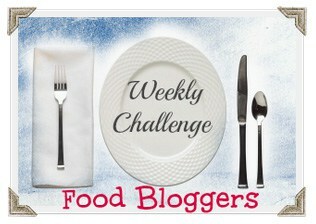 I pinned it so I can have it in my food board for later use! I have learn this put up and if I may I want to suggest you few fascinating things or advice. this was the best pie ever! I went ahead and roasted the potatoes but that was entirely my choice. . They figured that the most effective” recipes could be those with the very best rankings.